I am Rupom Razzaque (a.k.a. MA Razzaque Rupom) – a Web Application Engineer from Bangladesh. I have been engaged in developing web applications since 2004. Before that I was engaged in developing desktop applications using C/C++, Java, Visual C++, etc. Programming is my only passion and profession, I do it most of the time of my day. Its been almost 18 years of my programming, I still enjoy playing with code examples & writing codes to create real-life outputs. 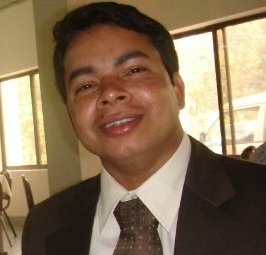 I am a Computer Science & Engineering major – completed my bachelor in the year of 2004 from Rajshahi University of Engineering & Technology (RUET), Bangladesh. I live in Dhaka with my wife Surida and daughter Suha. Currently I am running a small start up web development company named OS CLiCKS in Dhaka, Bangladesh. My company OS CLiCKS develops various web applications for small to large businesses. I also lead a small team of developers dedicated to web scraping / crawling, parsing & reporting solutions. We build applications that require huge data grabbing from other sources – we scrape and aggregate your desires. Please visit the scraping team website ProScraper. Besides, I mentor a web development team here that helps several online news portals for their strong presence on the web.